Retired actor/international spy, Jean-Claude Van Damme comes out of retirement to romantically pursue his former hairdresser/right-hand woman Vanessa (Kat Foster). Despite his lingering self-doubt, JCVD quickly rediscovers his comfort zone both on set and in the field… for a day, at least. Then he messes everything up. 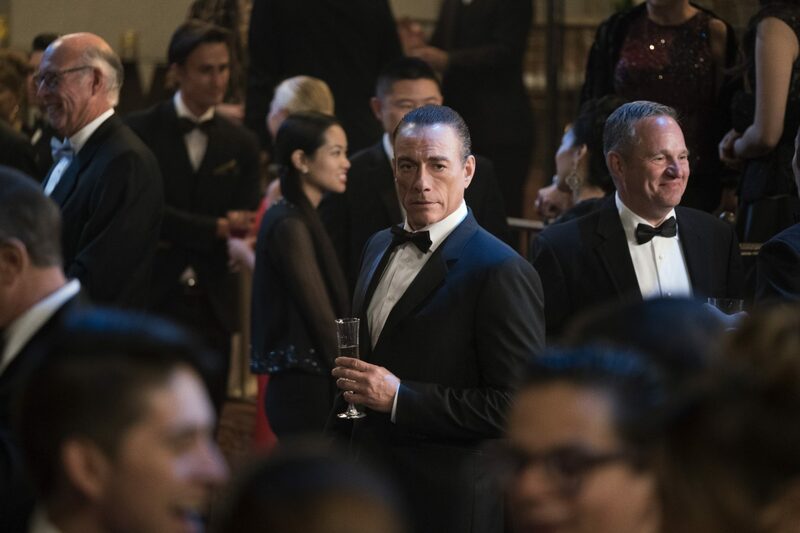 Who could be better to launch the TV career of the former star of action movies of the 90s, Jean-Claude Van Damme, than the screenwriter who was able to relaunch Sylvester Stallone and all his pals with the action movies franchise Expendables? But while several series have begun to play with the image of old stars – we think of the recent Hoff The Record with David Hasselhoff or What Would Diplo Do? with James Van Der Beek -, the creator Dave Callaham had the good idea to go even further by imagining for Jean-Claude Van Johnson season 1 a life parallel to the Belgian karateka who is able to speak several languages: and if under the cover of a busy cinematographic career, Jean-Claude Van Damme was actually a spy? 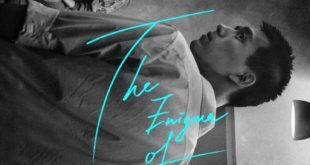 The beginning of the first episode of the series Jean-Claude Van Johnson starts to show us an old glory in retirement, aging, a little narcissistic — many everyday objects in his house have his name on it — and who can no longer to his famous split. Then after seeing again an old girlfriend that he wants to win back, Jean-Claude Van Damme will go back in a mission in Bulgaria as a secret agent with the cover of the shooting of an improbable film very, very freely inspired by The Adventures of Huckleberry Finn and directed by a vaper and completely crazy director (Tim Peper). Of course, this operation to dismantle a drug trade will initially turn into a fiasco for him but quickly, Jean-Claude Van Damme, aka Jean-Claude Van Johnson, will prove that he is not so stiff and that he’s still well preserved. He will also show that he is still able to punctuate with a spin kick or a split a good action scene. 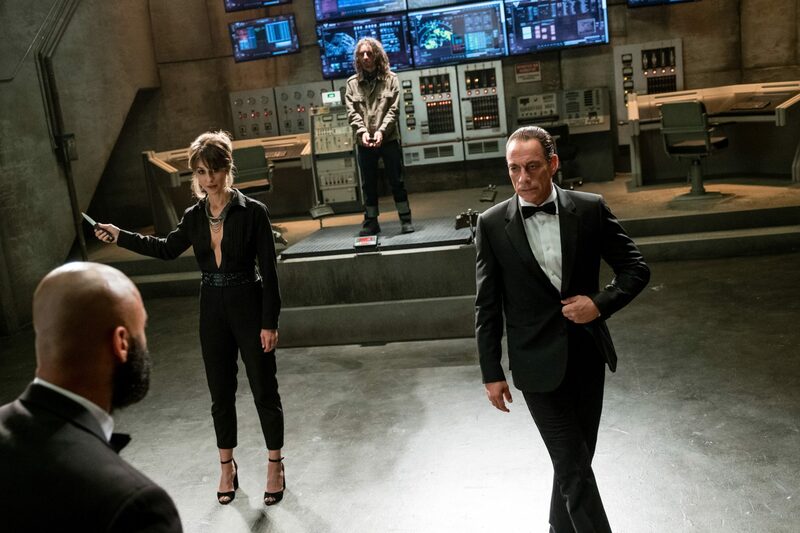 Thus, if the plot around this mission of secret agent is the thread of this season, it is especially the comic scenes — such as those where the creator Dave Callaham multiplies the winks to Jean-Claude Van Damme’s old film such as Bloodsport (1988), Time Cop (1994) or Universal Soldier (1992) — and particularly spectacular action scenes – such as the blindfolded car race or the violent choreographed scene on the set of the shooting of the adaptation of The Adventures of Huckleberry Finn — which are the more interessant part. 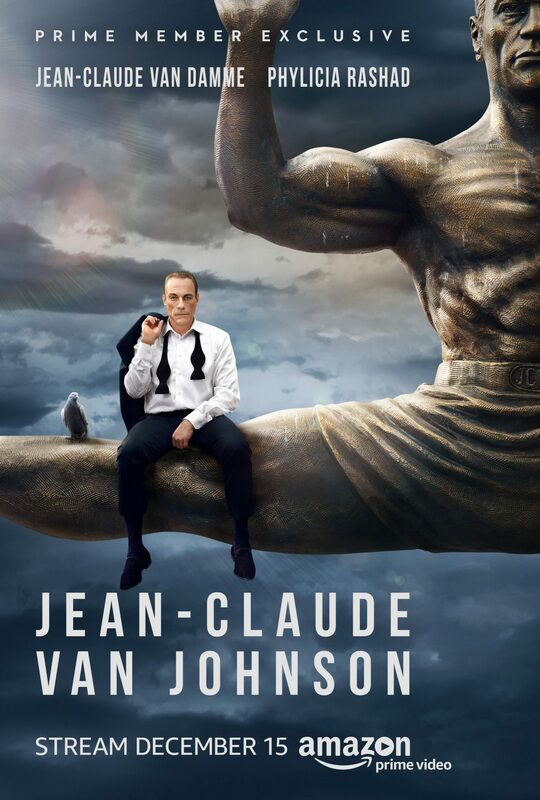 Because if Jean-Claude Van Johnson season 1 scoffs at the image of The Muscles from Brussels, he also builds a more nuanced character based notably on troubled past as during a flashback sequence where Jean-Claude Van Damme as child is running in the middle of emus is not so insignificant as it seems. In Jean-Claude Van Johnson season 1, Jean-Claude Van Damme really enjoys playing his own role and making fun of it. 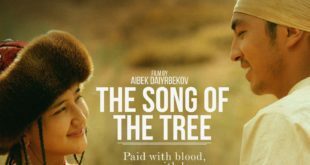 Like Mabrouk El Mechri’s JCVD (2008) where he played against type, the mix of action scenes and comic scenes in the series, written by Dave Callaham and directed by Peter Atencio, allows him to show a wider range of acting and this to our delight of spectators and fans. The scene where he plays two characters — he and his double from the East — and who returns on at least two episodes is hilarious. Finally, on the cast side, Jean-Claude Van Damme is surrounded by actress Kat Foster (Weeds) in the more classic role of Vanessa, the ex-girlfriend and partner. But also there is Phylicia Rashad, the famous Claire Huxtable of The Cosby Show — a series whose image has unfortunately been tarnished by the troubles of its principal interpreter, Bill Cosby, with justice — who is playing with her usual elegance the artistic agent and the boss of Jean-Claude Van Damme. But the real surprise of Jean-Claude Van Johnson season 1 is the actor Moises Arias (Hannah Montana, The Middle) who plays the surprising character of Luis, the makeup artist and the weapon expert. Indeed, this little character who does not look like much hides in fact a bloody past of former narcos member and therefore have a contained violence that can explode at any time. 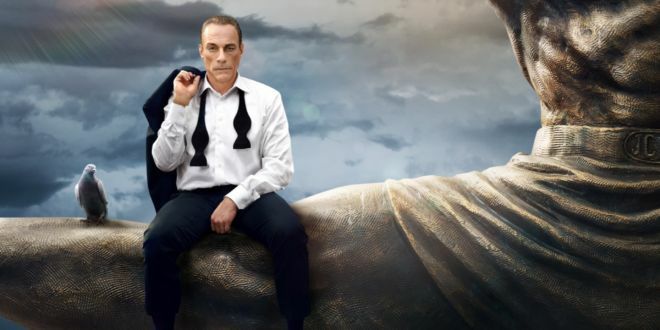 In short, this first season of the series Jean-Claude Van Johnson is a real good surprise and proves once again the quality of the series of Amazon Prime Video after fictions such as Mozart in the Jungle or Transparent. 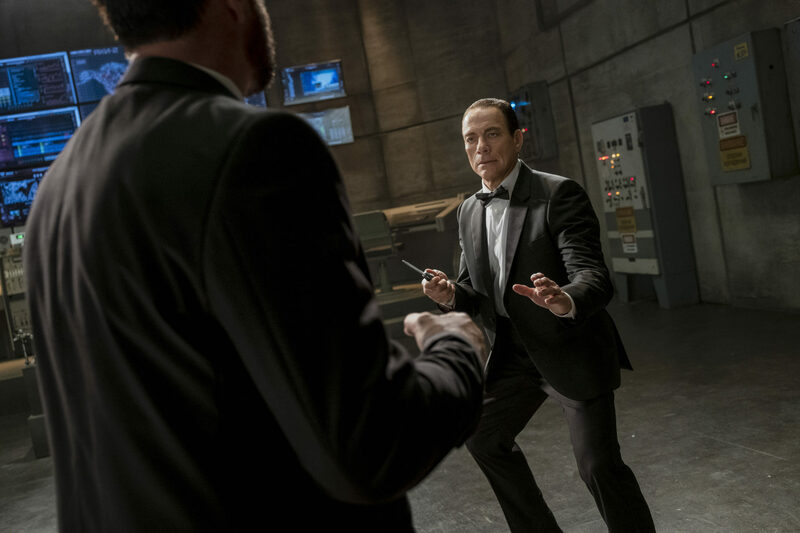 This mixture of self-mockery and spectacular action scenes around a star who is still in the top at the age of 50 makes this Jean-Claude Van Johnson season 1 a fun series not to be missed. And we hope there will be a season 2!